Gourmet burger chains continue to invade the Philadelphia region. Opening its first location outside of New England is b.good, coming in June to Marlton's Promenade (500 Rt. 73 S.). In addition to gluten-free sandwich buns, b.good offers fries, kale & quinoa bowls, salads, smoothies and shakes. Philly.com reports that another Boston-based chain, Wahlburgers, is looking at opening five Philly-area sites later this year. Gluten-free burger buns and salad croutons are available at Wahlburgers, run by brothers Mark, Donnie and Paul Wahlberg. 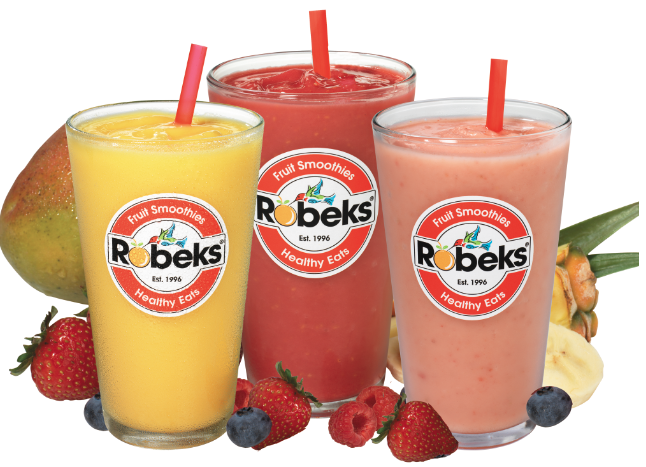 Another import, southern California smoothie-and-juice bar Robeks, is set to open the first of more than 30 area locations in July in Philadelphia at 1035 Chestnut Street, according to Philly.com. All menu items are gluten free and can be made dairy free. Near Rittenhouse Square in Philadelphia, La Creperie Cafe (1722 Sansom St., 215-564-6460) is now serving gluten-free crepes, reports Be Well Philly. The gluten-free versions are made with separate utensils and are generally prepared on a separate griddle; during busier times, the kitchen will clean off a shared griddle. In Oaks, Montgomery County, the area's only outpost of casual American chain Max & Erma's (180 B Mill Rd., 610-650-8014) offers a gluten-sensitive menu with salads, entrees and bunless sandwiches. All-gluten-free Taffets Bakery in South Philly's Italian Market (1024 S. 9th St., 215-551-5511) is now offering soft pretzels every day. The Corner Bakery Cafe chain this week debuted a new gluten-free salad and brought back another one. The new Quinoa & Pico Salad features quinoa, corn, black beans, tomatoes, jalapenos, onions and cilantro in a lime vinaigrette. Returning to the menu is Southwest Avocado salad, featuring avocado, roasted corn and tomato salsa and topped with tortilla strips. 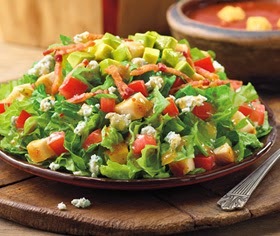 Other salads with no gluten ingredients include Mozzarella Tomato Arugula, Santa Fe Ranch and Chopped. Tuesday's First Draft gluten-free beer column reviewed the year-round ales produced by Portland's Harvester Brewing. This spring, the Angry Orchard Cider Company is releasing a new year-round Cider House Collection specialty cider. The Muse has a distinct juicy apple aroma and is slightly sweet upfront, balanced by a bright acidity, and finishes slightly dry with a lingering flavor of sweet, fresh apples. On Tuesday, May 13, the Celiac Center of Paoli Hospital (255 W. Lancaster Ave.) presents Moises Velasquez-Manoff, award-winning journalist and author of An Epidemic of Absence: A New Way of Understanding Allergies and Autoimmune Diseases. Today, no fewer than one in five Americans has a condition such as Celiac Disease, asthma, food or pollen allergies, type-1 diabetes, lupus, multiple sclerosis or Crohn’s Disease. Velasquez-Manoff explains the latest thinking about this issue and explores new treatments in the works. The program runs from 6:30 p.m. to 8 p.m. at the hospital's Potter Room. Live registration begins at 6 p.m. and advance registration is available. If you can't attend in person, registration for the webinar is now open. To celebrate National Celiac Awareness month, nutritionists at local Giant Food Stores are hosting several informational gluten-free classes. For more information or to register for any of these classes, visit Giant's "Healthy Ideas" page or call your local store.